Two for a better view? LG's X screen is equipped with two screens for little money. But just how useful is this feature in everyday use? We found out in our test. LG X screen has a stylish form factor, decent camera and is good with multitasking. But I feel LG is asking for a bit too much of a price here for a phone that lacks full HD display and fingerprint scanner. The mid-budget segment is full of options like Moto G4 Plus, LeEco Le 1s and Xiaomi Redmi Note 3 which offer great specifications, including better camera. There's a lot to like about the LG X Screen, not least its handy extra screen and decent battery life. However, when the Moto G4 has a better camera, faster performance and a superior main display, the LG X Screen becomes a tough smartphone to recommend, unless you really fancy the idea of having an additional shortcut bar at the top of your screen. The LG X Screen might fill a small niche, then, but in terms of pure value for money, the Moto G4 still wins by a country mile. The LG X Screen tries to be different from the pack, and even though it is, the lack of processing power, a sub-par camera and weakened battery life makes it inferior to fellow mid-range smartphones like the LeEco Le 2, Xiaomi Redmi Note 3, Moto G4 Plus and Honor 5C. We believe that the biggest challenge for LG's new X screen will be to take on the popular phones in the segment such as the Moto G4 Plus and the Xiaomi Redmi Note 3 which obviously offer better specifications. We will have to wait to see how well LG's new X screen performs in the Indian market. If you're looking for an affordable Android phone with a solid design, strong performance, sterling battery life, and a competent camera, the LG X Screen is a reasonable choice. However, the headline-grabbing second screen is a bit of a gimmick, and its 8MP selfie camera isn't as sharp as you might be hoping. 69% Doppelter Bildschirm für doppelte Power? Positive: Quality glass; useful 2nd screen; excellent battery life. Negative: Low resolution; limited camera settings. Positive: Slim size; light weight; good price. Negative: Poor cameras; imperfect screen brightness. 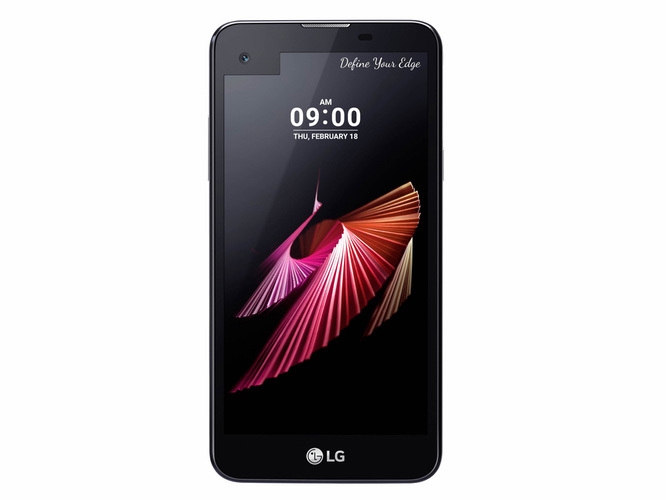 Model: The LG X Screen is an affordable phone with mid-range specifications. With 1.2 GHz Cortex-A53 quad core CPU, Qualcomm MSM8916 Snapdragon 410 chipset and Adreno 306 GPU, it is capable to accomplish many tasks from communication to entertainment. The Android 6.0 Marshmallow system features a 4.93-inch IPS LCD capacitive multi touch touchscreen with a resolution of 720 x 1280 pixels (~298 ppi pixel density). It supports GSM / HSPA / LTE network technology. As for camera, it features a 13 MP primary camera with autofocus, LED flash, geo-tagging, touch focus, face detection and panorama function, which is able to record 1080p videos at 30 fps. In addition, there is a 8 MP secondary camera for clear selfies and video calls. The LG X Screen measures at 142.6 x 71.8 x 7.1mm (5.61 in x 2.83 in x 0.28 in) and weighs at 120 g (4.23 oz). As for wireless communication, it features Wi-Fi 802.11 b/g/n, Wi-Fi Direct, hotspot, Bluetooth v4.1, GPS, NFC and FM radio. The non-removable lithium ion battery rated at 2300 mAh delivers up to 120 hours of standby time and up to 14 hours of talk time. 72.58%: This rating is bad. Most notebooks are better rated. This is not a recommendation for purchase.